Jypyä Pop (Turku, Finland) on 7 March 2017 in Animal & Insect and Portfolio. A romantic scene. well seen and done. Interesting colours. Are those granite rocks? Nice image and nice title ! Two swans, two channel markers. Nice photo. @beach: Thank you. During the summer between the two marks passes a steamer to the old port of Naantali. 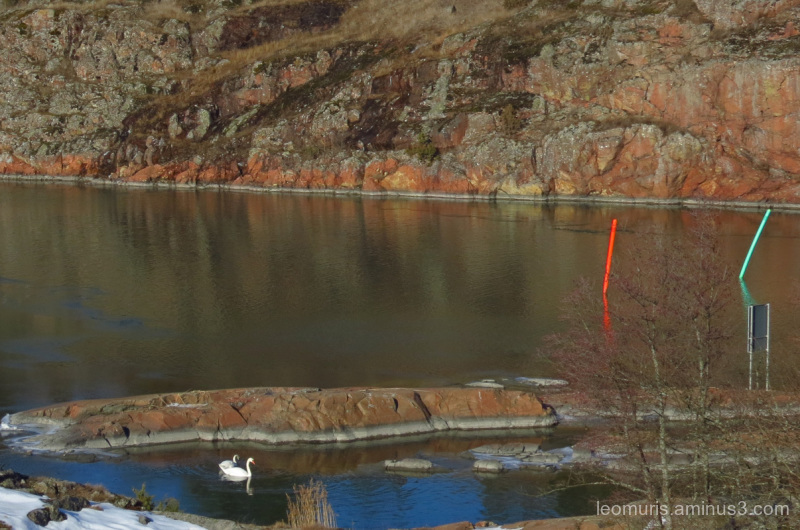 Gorgeous colors revealed in the rock formations and the swans really "pop" in pristine white!! Superb composition and beautiful colors ! The early birds get the sun! A beautiful image. A lovely couple in the big pond, a little snow but a lot of sun!